This yielding image represents the annual Wakakusa Yamayaki festival held in Nara in January. During this festival, the grass on the hillside of Nara's Mt. Wakakusayama is set ablaze and can be seen throughout the city. The burning of the mountain itself is followed by a fireworks display. 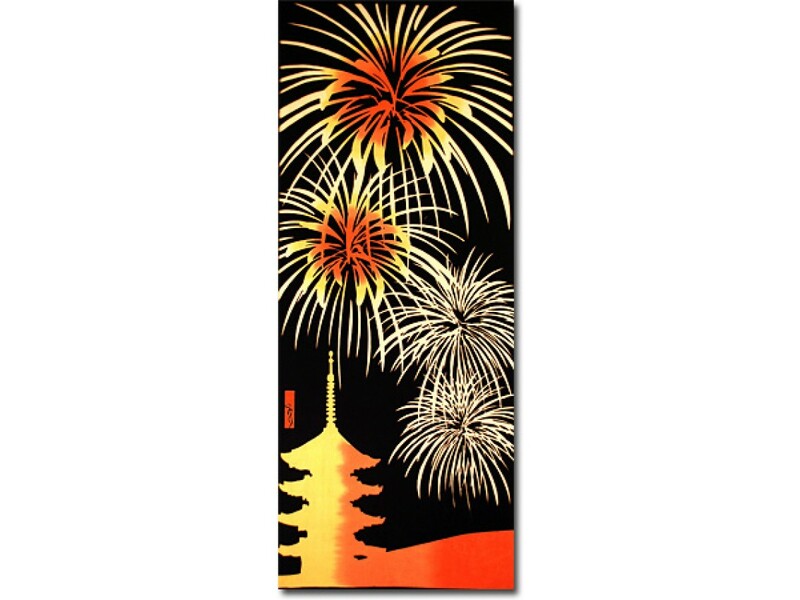 This tenugui shows the fireworks display, with the 5 storied pagoda of Kofukuji Temple and Mt. Wakakusayama in the background.